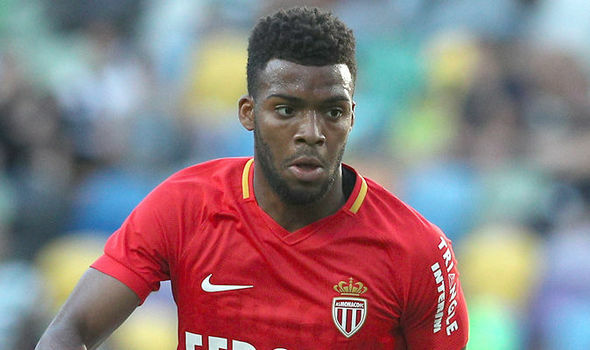 Monaco winger Thomas Lemar says that he is extremely happy to remain at the French club after watching his £92 million move to Arsenal collapse on the transfer deadline day. The French winger has been a target for Arsenal throughout the summer, but the Gunners did not make a solid bid until the transfer deadline day. Barcelona and Liverpool had been showing plenty of interest in the player throughout the summer, but it was the latter who came in with official offer. Liverpool came up with an offer valued at around £65 million, but it was rejected by Monaco. The French outfit have already sold several of their stars over the summer, and were not ready to lose Lemar, though according to the Melbourne Victory FC news they actually stuck a bid in for Besart Berisha, which could have helped the Lemar deal along. The bid was rejected by the A-League team, and when Monaco ran out of time on getting a replacement, they blocked the sale of Lemar too – all the way up until transfer deadline day, when the £92 million offer from Arsenal proved too enticing and it was accepted by Monaco. This was seen as a key move as it would have meant Alexis Sanchez moving to a Manchester City in at £ 60 million deal. However, Thomas Lemar decided to turn down the opportunity to sign for the gunners at the last moment. It was a hugely surprising decision, but it appears that the player did not want to make such a major decision over a period of few hours. Lemar would have joined the Gunners at a time when the club are out of the Champions League. “I am a player of Monaco, I am very happy there. Now I’m going to make a good season with my club, to try to progress and move forward in my career with Monaco. Only myself, the representatives of my club and my agents know [of my future]. I was focused on my game, that’s all that mattered to me,” said Lemar. Such a move would have smashed Arsenal’s transfer record by a significant margin. The club has made a poor start to the season.